Is 1 Corinthians 12:3 the test of a true Christian? 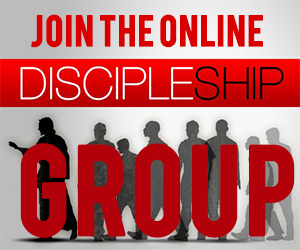 You are here: Home / Redeeming Scripture / Is 1 Corinthians 12:3 the test of a true Christian? 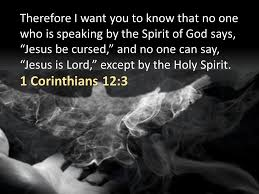 Therefore I make known to you that no one speaking by the Spirit of God calls Jesus accursed, and no one can say that Jesus is Lord except by the Holy Spirit (1 Cor 12:3). So what does 1 Corinthians 12:3 mean? In 1 Corinthians 12:3 Paul makes two opposing statements which have led to much confusion among Christians. Paul first says that nobody can say “Jesus is accursed (anathema)” when they are speaking by the Holy Spirit. 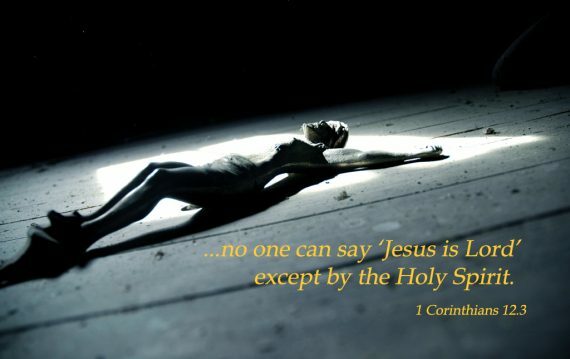 He then states the opposing truth, that nobody can say “Jesus is Lord” unless they are speaking by the Holy Spirit. Now, I just tried it, and I was able to say both statements as I read this verse out loud. Go ahead, you try it too. I bet you can verbally express both statements. Similarly, I guarantee that if you ask an atheist or even a Satanist to say both statements, they will be able to say both as well. Certainly the same thing was true in Paul’s day as it is in ours. So 1 Corinthians 12:3 is definitely not a way to determine who is a Christian and who is not. But what about demon possession? 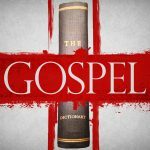 Here too, it seems that there are times in the gospels where demons recognize and verbally stated the identity, power, and authority of Jesus Christ. 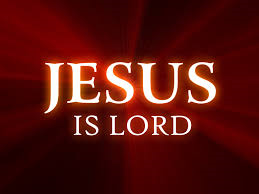 There may not be any specific examples of demons saying “Jesus is Lord” but to say “Jesus is Lord” is to verbally recognize His power and authority, so to call Jesus “the holy one of Israel” or that Jesus is “the Son of God” (cf. Matt 8:28-29; Mark 1:24). I wrote here about 1 John 4:2-3, which teaches a similar truth. No, Paul is not teaching in 1 Corinthians 12:3 about how to determine who is demon possessed. So what did Paul mean when he wrote 1 Corinthians 12:3? The letter of 1 Corinthians is focused around some issues and questions that had arisen in the Corinthian church. When Paul sets out to address the other issues and questions, he begins with a short summary of what the issue or question was (cf. 1 Cor 7:1; 8:1; 16:1). 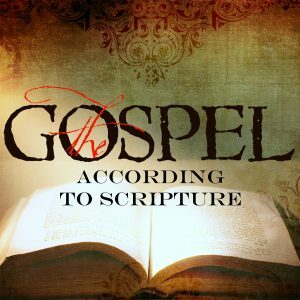 Chapters 12–14 deal with the issue of spiritual gifts, and ultimately, the gift of speaking in tongues (1 Cor 14), and so 1 Corinthians 12:1-3 is apparently the opening summary statement of what issue or question the Corinthian Christians were facing. Since this is so, 1 Corinthians 12:3 likely provides an indication of what some of the tongue-speakers were saying. It appears that some of these “super spiritual” leaders were speaking with ecstatic utterances and in the process, saying things like “Jesus is accursed.” When challenged about these words, they claimed that they were speaking by the Holy Spirit and could only say what the Spirit gave them to say. Paul calls them out on this and says that if someone is speaking by the Holy Spirit, he will not say, “Jesus is accursed.” Instead, when someone is speaking by the Spirit, the Spirit will lead them to say “Jesus is Lord,” and other such things that edify the body of Christ and glorify the name of Jesus. But why would people who are speaking in tongues say that Jesus is accursed? So what is it that these “super spiritual” ones in Corinth were claiming when they stated that Jesus was accursed? Were they claiming that Jesus was separated from God and was spending eternity in hell? 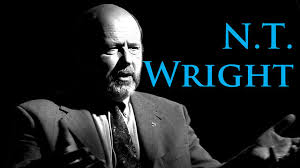 This idea is doubtful, since the resurrection of Jesus and His glorification to the right hand of the Father pretty clearly refutes such an idea (Of course, some were arguing that there was no such thing as a resurrection. See 1 Cor 15:12). No, what seems most likely in light of other uses of anathema in the Bible (See my Gospel Dictionary Course for explanation of these texts) is that certain Corinthian teachers were saying (while supposedly under the influence of the Holy Spirit) that the reason Jesus died is because He was suffering the consequences for sin, or for living in a sinful, human body. The Corinthian Christians suffered from an early form of Gnosticism where they saw a deep separation between the physical and the spiritual worlds so that what happened in one did not affect the other. One related belief was the idea that the physical world was evil and the spiritual world was good. 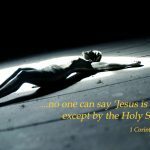 Therefore, if Jesus had a truly human body, then it must have been evil or sinful, and if so, then Jesus was accursed and died as a sinful human in the flesh so that God could set Him free into the spiritual realm. Paul spends much of his time in his letter arguing the exact opposite. In fact, this is partly why Paul goes on in 1 Corinthians 15 to argue about the physical resurrection of Jesus. Paul wanted to show that the physical world, and our physical bodies, were not inferior to the spiritual, but were partnered with the spiritual to accomplish God’s will in this world (John argues against similar beliefs in 1 John). So 1 Corinthians 12:3 is not a litmus test for who is a Christian and who is not. It is instead Paul’s introductory summary statement about some of the false ideas that various leaders in Corinth were teaching. It is also possible that the Corinthian leaders were saying such things in an attempt to explain Deuteronomy 21:23 (which Paul mentions in Galatians 3:13). What do you think about 1 Corinthians 12:3 and the explanation above? Leave your comments below! 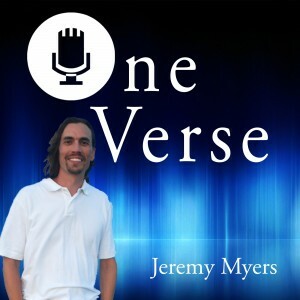 You make these verses true meaning very clear Jeremy. It just goes to show that the perceived meaning of some passages can be and will be misunderstood, if you do not carefully look at the context of the surrounding passages, chapters and even the entire book, (including some of the original Greek meaning). Thank you for this it clears up a few cloudy bits I had in my understanding of these 2 verses for quite a few years. 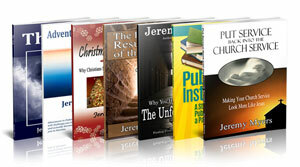 Yes, our faith must surly be tested, but it is not all the time that our faith is tested. Most times things that happen to us are caused by us. I learnt that from open heaven devotion this morning. You take all the fun out of proof texting. 1. The possessed man was IN the temple. Could demon possessed people be among Christian congregations? 2. The demon ADMITTED who Jesus was but painted Jesus as one with a destructive nature. There are subtle lies being spread by demons. In Mt 8, Lk 8 and Mk 5 demons admit who Jesus is but do not worship Him. Lesson for me: not everyone who says “Lord, Lord” necessarily BELIEVES and rests and stays connected to Jesus. I don’t know but actions speak louder than words. You can easily say something verbally because humans are natural liars, but by our actions our heart can certainly speak. “possessed by demons”…….absurd, in the world of reality…. 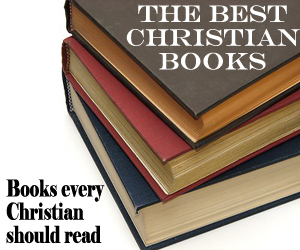 Another false article against Christianity! Stop this insult now! How is it false? The article is in favor of Christianity. In context, this is speaking of the Holy Spirit, and the gifts He imparts. The first part of this verse says that if one is in the Spirit, He cannot deny Christ. Of course, anybody can parrot the words, “Jesus is Lord.” But,I think, if you combine other verses that talk about the fruit of the Spirit (Galatians 5:22-22), that anybody who is Spirit-filled and claims Christ as Lord, their life is going to reflect that. Are they going to be perfect? Of course not. But the general pattern of their life shows a continual alignment of their life to the example of Christ’s.